You may know there are a ton of YouTube kids’ videos, but do you know how to find the very best ones? We’ve all been there. Your kid is very active and loves to play outside but it’s a rainy, snowy, or otherwise bad-weather day and your kid is sooo restless from being cooped up inside. “What can I do?” and “Mom, I’m bored!” become frequent chants as your kid hovers around like a fly at a picnic. While TV and other media devices should never be mindlessly used to keep your kid entertained, all parents know that a fun video can be just the thing to keep a child occupied. So without further ado, here is the official Parenting Rockstar guide to 15 awesome YouTube kids’ videos. Very Important: Be sure you have YouTube Restricted Mode enabled on your web browser (Instructions HERE). While it is not foolproof, enabling Restricted Mode can help prevent your child from seeing mature and other age-inappropriate content on YouTube. If you aren’t familiar with Richard Scarry, you’re in for a real treat. Like with many kids’ books, some of Richard’s books were turned into cartoon videos, and a whole line of new videos have been inspired by his books. 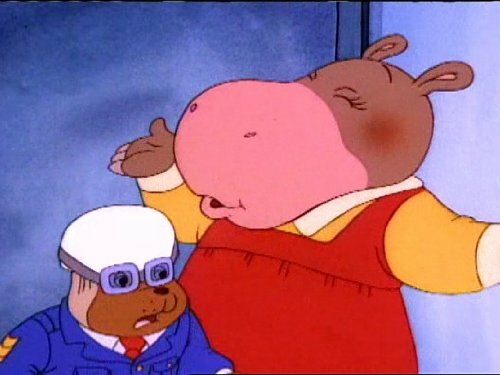 You can also watch Busy World of Richard Scarry for free with Amazon Prime! Pronounced KY-YOO, this kids’ series originated in Canada. It stars an adventurous but lovable 4-year-old that most kids will readily identify with. 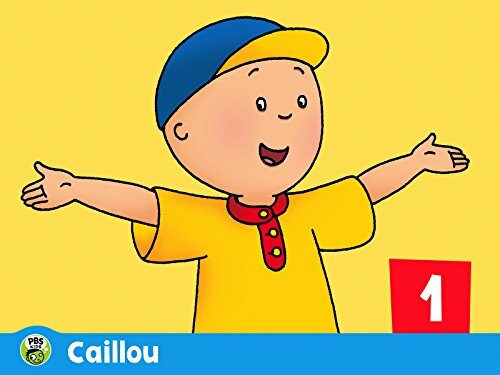 One nice thing about the Caillou shows is that they are not intense and don’t contain material that might frighten or disturb young children. Like with the Richard Scarry stories, the Madeline stories originated as a series of books from Austrian author Ludwig Bemelmans (check out some of his amazing books HERE). Madeline is a precocious and adorable young Parisian schoolgirl who always manages to get into trouble that is cleverly resolved after 30 fun-filled minutes. If you haven’t yet heard of the amazing duo of Pat and Mat, you’re going to love this! Pat and Mat are two handymen who aren’t very “handy” at all. They stumble and bumble their way through each episode, creating hilarious results that will keep the viewer roaring with laughter. This clever stop-motion series originated in Czechoslovakia, so don’t be alarmed when you can’t read the introductory material (unless you happen to read Czech!). There is no talking in these videos–just cute old-timey music and adventures starring this dynamic duo. What do you get when you combine a bumbling farmer, a nervous sheepdog, and a herd of rowdy sheep? Why, Shaun the Sheep, of course! 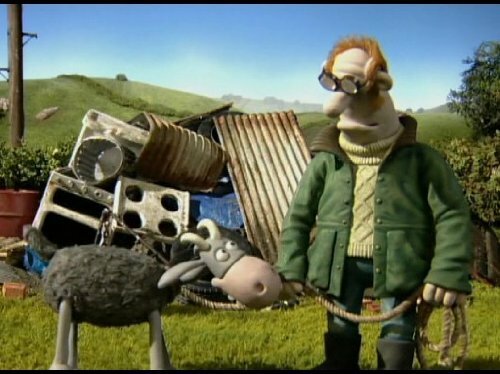 This stop-motion British series stars an adorable young sheep (Shaun) and his family/herd of flatulent friends who get into all kinds of trouble, usually at the expense of the farmer and his sheepdog. You can check out full seasons of Shaun the Sheep for free on Amazon Prime! 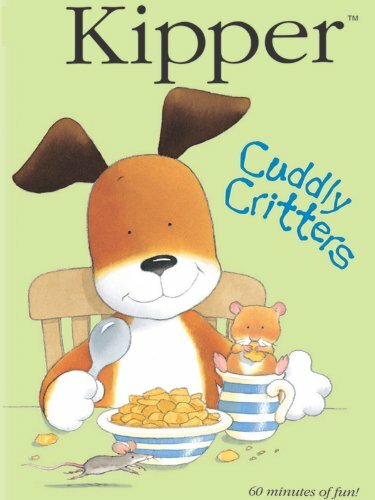 This cute video series stars Kipper the Dog, an adorable and lovable puppy with a charming British accent, along with his good friends Tiger the Cat, Jake the Sheepdog, Pig, and Pig’s cousin Arnold. This series is pleasant and cheerful, perfect for the youngest viewers but enjoyable for older ones as well. Take a cheerful British postman with his sidekick cat and a cast of eccentric villagers and you’ve got a recipe for a really awesome kids’ series! This is a another winning show from Britain (what is it about the British that makes such cool kid vids?). This is such a cute and charming show that will keep the attention of your kid without resorting to hype, silliness and over-the-top action that characterizes so much kids’ content these days. Following on the heels of Postman Pat (#7 above) comes the adventures of Fireman Sam. The episodes of Fireman Sam are set in the town of Pontypandy, a portmanteau of two real towns. (What, you don’t know what a portmanteau is? We didn’t either, so if you’re really curious, check it out HERE). The original concept for Fireman Sam came from two English ex-firemen, and from its modest beginnings has actually been translated into over 25 languages! Everyone’s seen those yellow National Geographic magazines lying around at the doctor’s office, but did you know they also create some really awesome videos for kids? Combining high quality video with a fun, kid-friendly format, these are some of the best educational videos for kids out there! From pets to snakes to archaeology and everything in-between, these videos will not only hold your kid’s attention but teach them some valuable lessons as well! If your kid enjoys National Geographic for Kids, they will also be sure to love My Animal Friends. This series gives a twist to the usual nature video, taking a look at animals from the perspective of the animal itself. From clown fish to dingoes to crocodiles, your kid will gain appreciation for the natural world while having a good time in the process! Remember how we said the British seem to product amazing kids’ videos? Tickety Toc is another example of superior British video-making. There’s something about those British accents that just makes you want to listen! Featuring Tommy and Tallulah in — you guessed it — Tickety Town, these pleasant stories draw you in and make you want to watch more! From well-known author Maurice Sendak, the Little Bear animated series combines sweet, upbeat stories of a bear cub and his friends, with gorgeous, peaceful music. This would be a great video to watch before nap or bedtime, as the soothing, non-dramatic story lines promote a tranquil yet cheerful viewing experience. Based on the famous Bearenstain Bears books, which have sold over 250 million copies, the video series of the same name continues the quaint, country feel of the books, featuring Papa Bear, Mama Bear, and kids Brother Bear, Sister Bear, and Honey Bear. Each episode teaches a lesson or moral in a non-threatening way, along with a healthy dose of humor and good-natured jesting along the way. Probably few parents and kids have yet to see the mega-popular Baby Einstein video series. Many of these classic kids’ videos are now available on YouTube, including Baby MacDonald, Baby Mozart, Baby Newton, and more. Featuring live-action kids, toys and puppets, these timeless videos aimed at the youngest viewers will leave your kid clamoring for more! Okay, the music and animation is a little cheesy (not to mention annoying, particularly after the 10th time), but hey, with over 60M views on YouTube, this one must have something going for it. So now you have the Parenting Rockstar list of 15 awesome YouTube kids’ videos. This should give you a great start on a rainy day! Be sure to also see 8 Amazing Sources for Free Online Kids’ Books!